introduced a health and hygiene curriculum to the teachers and students from the two schools in 2013. We taught the teachers and students about hand washing and general hygiene. We left teaching materials and posters for the school and staff. 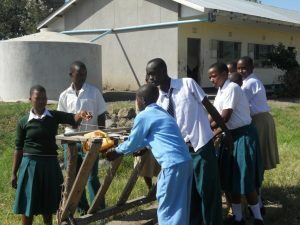 The students know how to save valuable water with the use of tippy taps. Now the teachers can continue to instruct on personal hygiene that leads to better health. 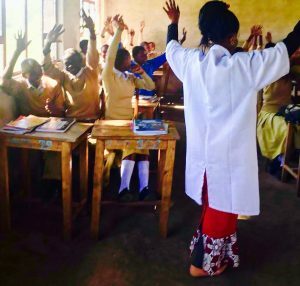 In 2018 Meghan Foltz reintroduced a hand-washing curriculum. She met with the teachers from both schools, discussed the health curriculum, and introduced the “germ” activity in sessions in the classrooms using games with the children. Visit our page for the current curriculum & materials “Health & Hygiene Materials”.